According to the NH injury lawyers at Manning & Zimmerman Law, about 146,571 people died from unintentional injuries in 2015. The National Safety Council reports that many of these injuries were suffered at home. Safety check your home for the three F’s; Fires, Falls and Firearms. Sawdust is highly combustible. Remember to clean up! Wiring: Poorly installed or old wiring is a hidden danger. One way to prevent electrical fires is to replace old circuit breakers with arc-fault circuit interrupters. These inexpensive safeguards detect dangerous electrical arcs, abnormal power surges that signal bad insulation or loose connections and break the circuit. Kitchen Clutter: Almost 51 percent of home fires are caused by cooking in the kitchen. Items like kitchen towels, pot holders, and cook books can ignite quickly. Maintain a three-foot zone between any combustible items and your burners, and keep a kitchen fire extinguisher nearby. Clothes Dryer: Lint buildup can spell disaster. Clean out lint traps after ever dryer use and make sure to regularly check for lint in the dryer cabinet, located in the back or bottom of the machine. The vent pipe should also be cleaned out every three months. 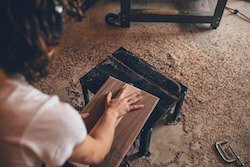 Excessive Sawdust: Sawdust burns quickly and easily. Regularly clean up with a vacuum designed for combustible dust. Also, avoid using compressed air to blow around dust – propelling it into the air can cause it to ignite. The National Safety Council reports that 33,000 Americans died from falls in 2015. A majority of those deaths were suffered by people over age 65. Clean up clutter: Scarves, hats, boots, oh my! Pulling off your cold weather gear and dumping it on the floor creates a tripping hazard. Put away anything that you or others may stumble over. Keep walkways clear: Ice and snow on driveways and sidewalks can be hazardous to you or your visitors. Keep up on snow removal, and use salt when icy. Avoid loose or ill-fitting clothing: Oversized clothes can easily cause a tumble for older Americans. Pants should be properly hemmed so they don’t drag on the ground. Wear footwear with a sole: Shoes or slippers with a good sole are much safer to walk in than fuzzy socks that slip and slide. Lock and store guns and ammunition separately. UNLOADED firearms should be stored in a locked cabinet, safe, gun vault, or storage case that is inaccessible to children. Gun locking devices are a good second security measure that can be used in addition to locked storage. Ammunition should be stored in a locked location separate from firearms. Thoroughly double check firearms to confirm that they are unloaded when put in or taken out of storage. 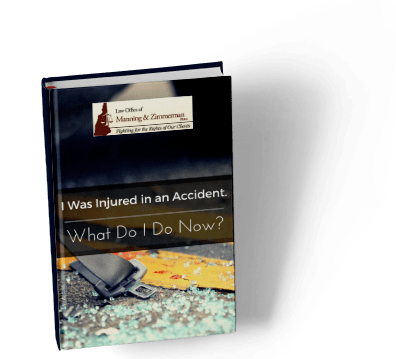 If you or a loved one have been injured through no fault of your own, it is essential that you have competent NH injury lawyers representing you from the onset of your case through litigation. Big insurance companies have lawyers looking out for their interests and you should too! The experienced NH injury lawyers at the Law Office of Manning & Zimmerman are ready to represent you immediately. Call (603) 624-7200 today for a free initial consultation, complete a request for a consultation on our website, or send us an email.